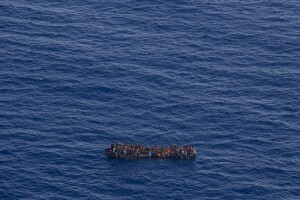 A picture taken from the moonbird aircraft of the German NGO Sea-Watch shows hundreds of migrants inside a rubber dinghy while they try to reach Europe in the Mediterranean Sea on September 15, 2017. 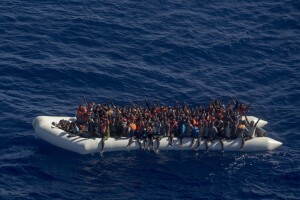 A picture taken from the moonbird aircraft of the German NGO Sea-Watch shows the migrants rescue operations of the Spanish NGO Open Arms in the Mediterranean sea on September 15, 2017. 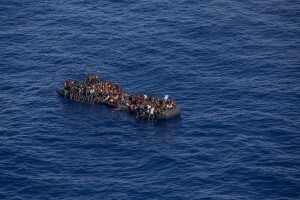 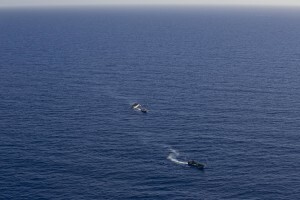 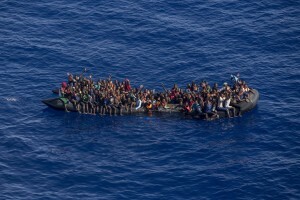 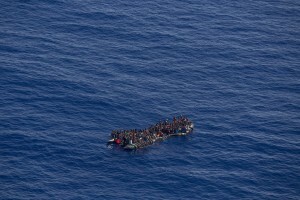 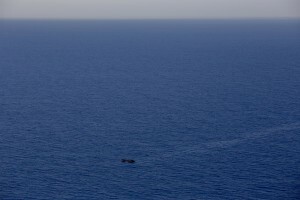 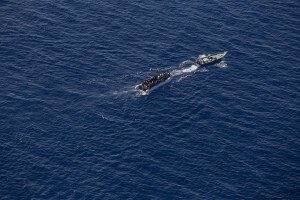 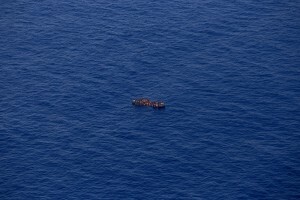 A picture taken from the moonbird aircraft of the German NGO Sea-Watch shows hundreds of migrants inside a rubber dinghy probably intercepted by Libyan militaries while they tried to reach Europe in the Mediterranean Sea on September 15, 2017. 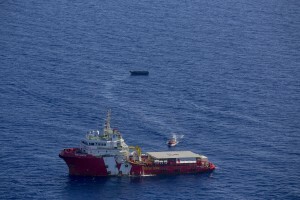 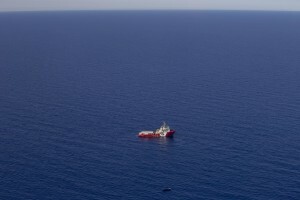 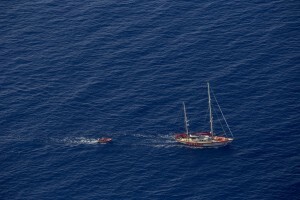 A picture taken from the moonbird aircraft of the German NGO Sea-Watch shows the migrants rescue operations of Vos Hestia ship run by NGO “Save the Children” in the Mediterranean sea on September 15, 2017.